It’s not very often that one gets an offer of free figs. So when a very generous friend of mine messaged our group of friends offering free figs, everyone jumped at the chance. She even delivered them to our doorsteps! Clearly she is a saint. If you’d like to see what this saint’s instagram looks like, click here. 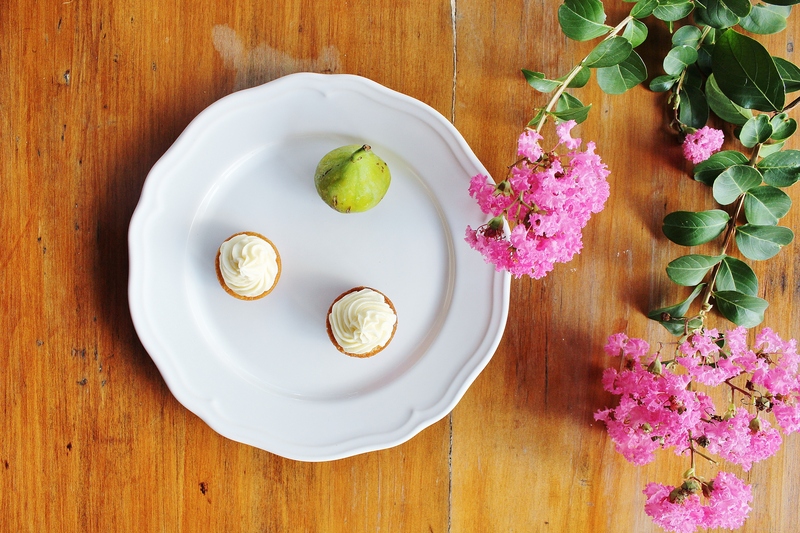 It’s full of beautiful photography and enviably delicious cooking dates with her Nonna. Given that I didn’t develop a taste for figs until last year, I decided to keep things simple. 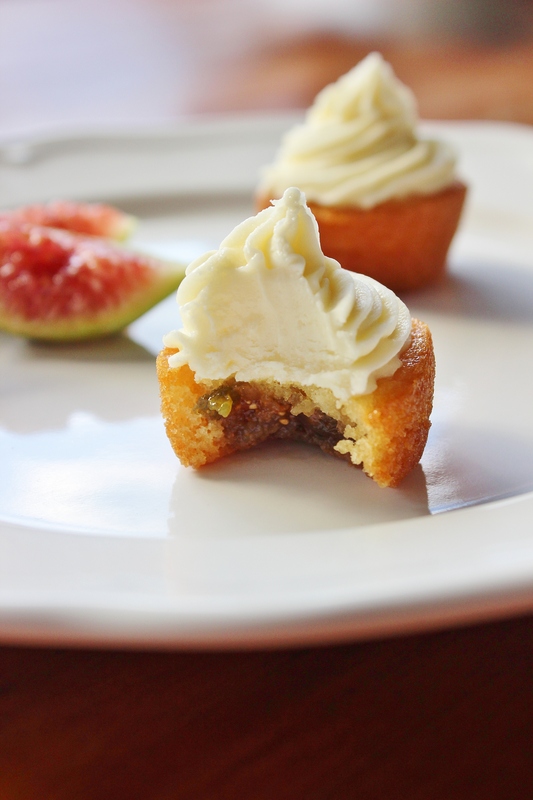 Figs, honey, vanilla – the beautifully sweet ingredients and varying textures come together perfectly in these bite-sized morsels. 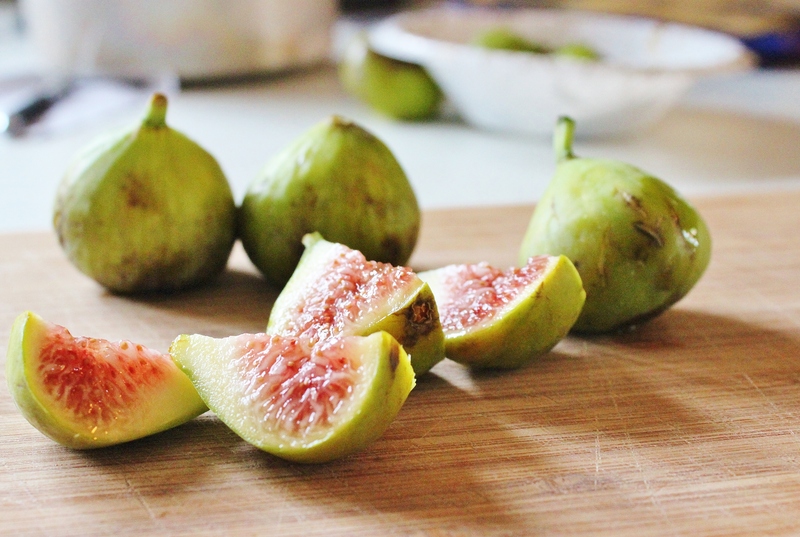 Pop your water, figs and brown sugar in a heavy-bottomed saucepan over a medium-high heat. Stir gently for five minutes, allowing the figs to start breaking down. Grab a potato masher and squish the figs over heat for three minutes. You should end up with a lumpy, seed-filled, jam-like substance. Remove from the heat and set to one side to cool. Preheat your oven to 180°C and grease a 24 capacity mini cupcake pan. Cream together the butter and white sugar. Add in the egg, and mix until combined. Add in bocarb, vanilla and flour, mix well. Slowly pour in the milk, mixing until just combined. 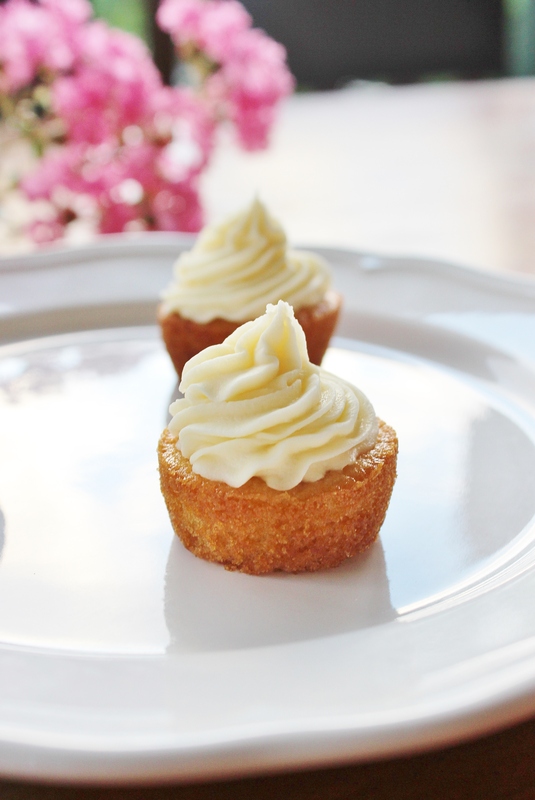 Fill each cupcake ¾ of the way full, and use the back of a spoon to make a shallow well in the centre of each cupcake. 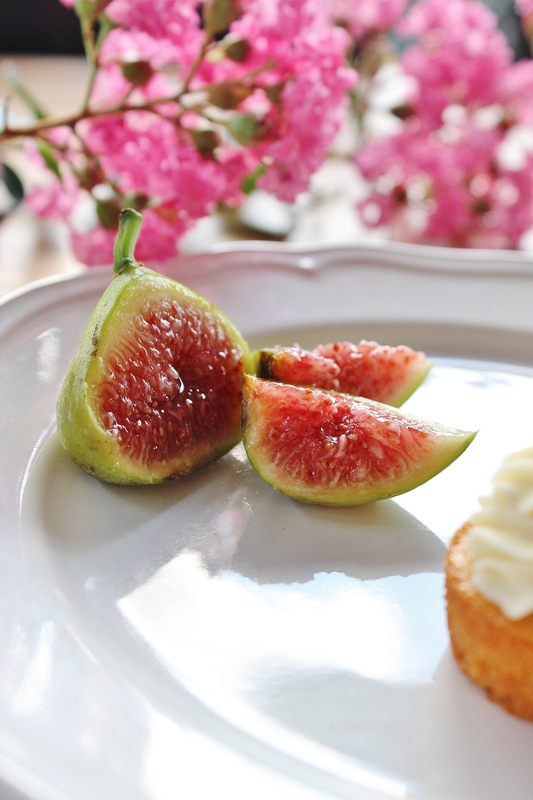 Fill each cupcake with ½ tsp of the fig filling and pop them into the oven for 13-15 minutes. As the cupcakes rise, they will cover most of the fig filling, but will have a small seam running through it. Turn your cupcakes out onto a cooling rack and set aside to cool. To make your icing, cream together the butter and honey until smooth and pale. Add in the icing sugar, one cup at a time, then add in 1 or both of the teaspoons of milk until the icing reaches the desired consistency. Scoop icing into a piping bag and pipe generous amounts of icing onto each cupcake. The height of the icing should be about the same height as the cupcakes – the perfect icing ratio, if you ask me.